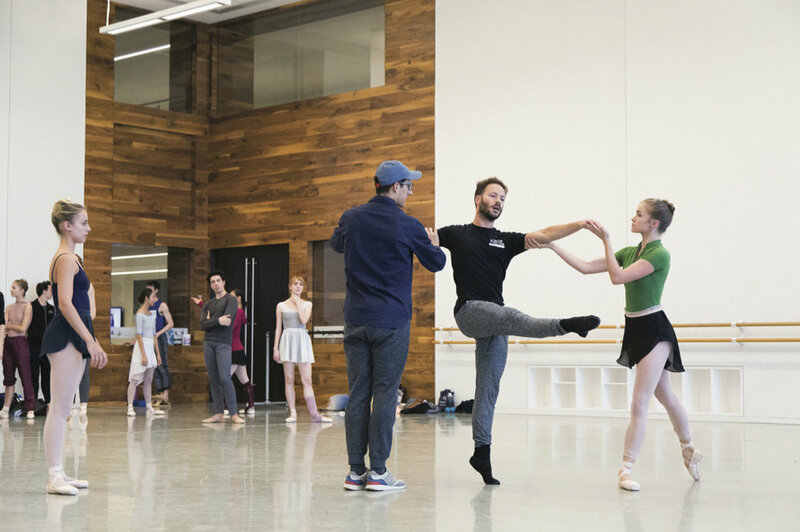 Houston Ballet will present an exciting new program starting tonight and running through Sunday, March 24: Come In, by Aszure Barton, and Dream Time, by Jiří Kylián, both company premieres, and Reflections by phenom Justin Peck. We caught up with HB first soloist Oliver Halkowich to get the scoop on what it was like in the studio with Peck. Dance Spirit: How was working with Justin Peck? Oliver Halkowich: I worked with Justin before, when he came to Houston to coach Year of the Rabbit, but I was really intrigued to see what his process would be like for creating a new piece. His ballets always feel immaculately organized, but I was surprised at how much he seems to leave up to chance in the creation process, and how much was organically derived rather than thought about prior to coming into the studio. DS: Tell us a little bit about the piece. OH: Justin gives a lot of imagery to the dancers, both to help us understand his ideas and to make sense of what he's creating for himself. I dance a quintet in the new work, and the five of us were standing in a clump ready for Justin to give us direction and he looked at us and laughed, calling us the "cool kids." I think that initial picture of us shaped the dance. There's a section he calls "brunch," where we casually tap hands and do-si-do around each other. It actually is quite complicated and took us a while to put together, but there's a laissez-faire quality to it, like five friends socializing on a Sunday. A version of this story appeared in the March 2019 issue of Dance Spirit with the title "Power Premieres."